Montreal chamber music collective Esmerine have revealed plans to put out another LP through longtime label Constellation Records. Following up their Juno-winning 2013 effort Dalmak will be Lost Voices, which lands October 16. A press release notes that the act have gone through a few changes since issuing Dalmak. The core quartet heard on that last LP, for instance, are now joined by bassist Jeremi Roy, who began touring with the act in 2013. 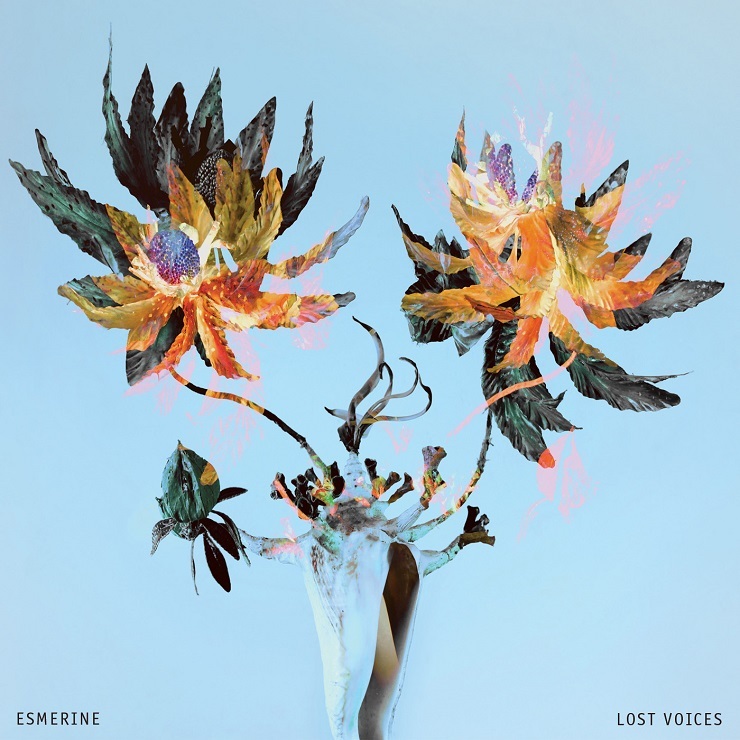 Lost Voices is described as Esmerine's "rock" record, with their mix of restrained passages and "explosive crescendos of exuberant density and maximalism" now employing electric guitars, in addition to the sounds of marimbas, harmoniums, pianos and more. Described as "cerebral," "volatile" and "evocative," the album is also said to infuse Esmerine's chamber-geared sound with the post-rock stylings of Lungfish, June of 44 and Shipping News. The set was tracked with Vid Cousins (Kid Koala, Amon Tobin, Colin Stetson) and Besnard Lakes member Jace Lasek at the latter's Breakglass Studio in Montreal. The producers are also two of the many musical contributors on Lost Voices, with Cousins adding piano to the sessions and Lasek performing guitar and synth. Elsewhere, Godspeed You! Black Emperor violinist Sophie Trudeau can be heard bowing on a few of the tracks, while Colin Stetson adds sax. Down below, you'll discover the weeping strings and heightened tones of opening track "The Neighbourhoods Rise," as well as Lost Voice's tracklisting info.